Do you know how bananas get bruises and browned all over day to day? Apparently, according to those silly scientists, it's caused by a hormone in ripe bananas called ethylene which modifies and slowly softens and browns the fruit. We know the real story behind it though. Late at night the bananas on your counter hop into the sink two at a time and have some serious boxing matches which leave behind a few bumps and bruises. They're very secretive about this stuff so that's why you've probably never seen them do it. This means that bananas have to be real tough and in order to do that they have to look pretty tough. 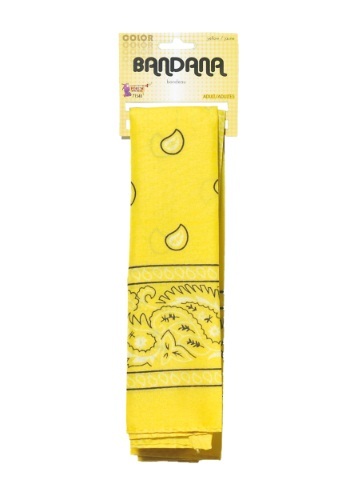 That's why they always wear these Yellow bandanas when they head off to the rumble. So next time you decide to dress up in a banana costume don't forget to throw on a couple tattoos and a yellow bandana. 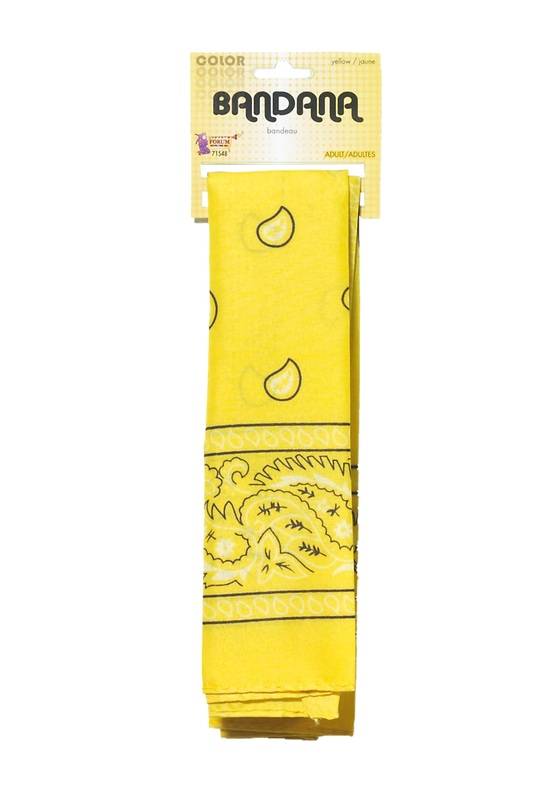 Oh try saying that five times fast "banana bandana."